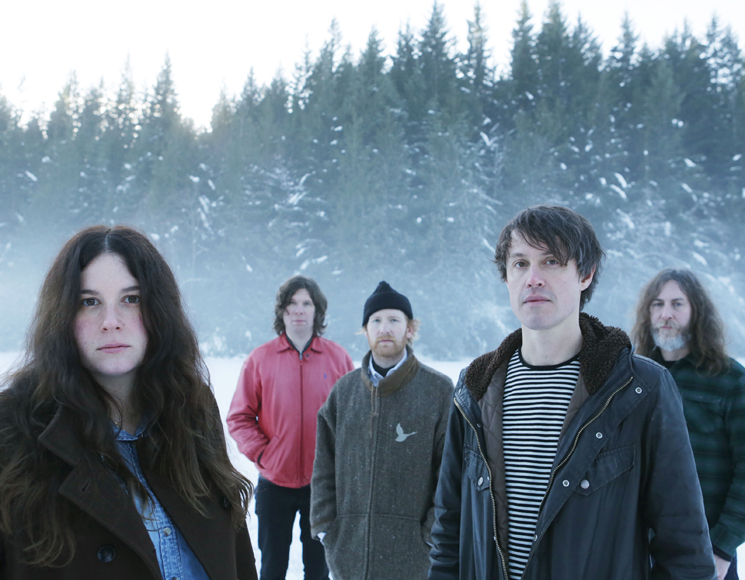 Last week, Black Mountain were dealt a major blow, as the Vancouver rock titans were robbed of a huge chunk of gear in Gothenburg, Sweden. Since the devastating theft, the band have managed to carry on with their European tour thanks to borrowed gear, but they are now asking fans to help them get back on their feet. Black Mountain have launched a PledgeMusic campaign in efforts "to help us re-power our concerting suits," as the band put it. They add, "Once we have enough money to replace what we've lost (our goal is $20,000 USD), we'll donate the surplus to www.musiCares.org." In exchange for donations, Black Mountain are offering an array of rewards — not to mention simply good karma. These include two previously unreleased B-sides from IV, T-shirts, a demo CD of IV tracks, signed records, concert ticks and more. You can get a full breakdown of rewards and donate to the campaign here. You can see all the group's upcoming tour dates here and revisit the band's long list of stolen gear below.